Those with dry hair and scalps often have to play a balancing beauty act between restoring moisture and keeping their locks clean. Too much cleansing ends up stripping your hair of essential oils, which coincidentally, are the ones you need to harbor in your scalp and in the hair shaft to hydrate your hair in the first place. But not enough cleansing? You’re looking at an unwanted collection of oils at your scalp. When you’re using the wrong formula, one that’s super heavy, your hair ends up feeling more coated and droopy than light, toss-able, and healthy to the touch. Just like you’d reach for a rich oil to soothe your troubled skin, it can do a thing or two for your locks. You’ve heard of cleansing oils, right? 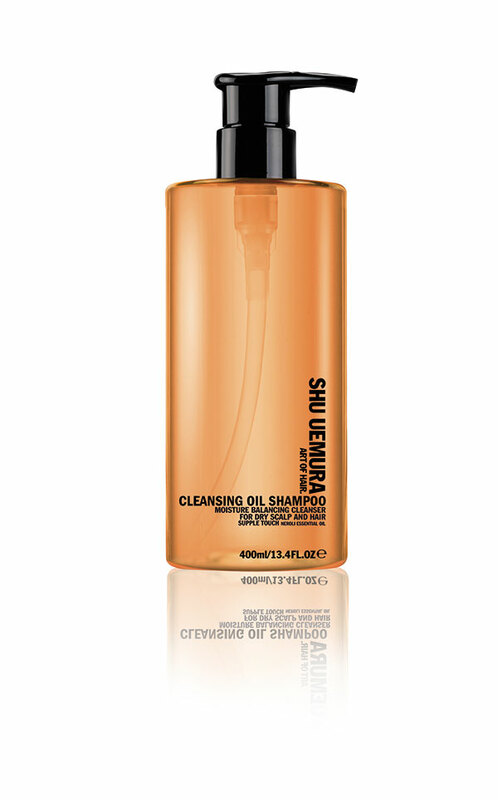 Shu Uemura launched one specifically for your hair that whisks away impurities while restoring your damaged or dry hair with the nutrients and hydration that it needs. Read on to find out why it’s a must-have for your shower rack. Typical shampoos might sweep away any dirt and grime you don’t want chilling in your hair, but then they also rid your locks of oils they actually NEED in the process. Because this is a cleansing oil shampoo, it’s made with Neroli Essential Oil to moisturize and purify at the very same time. Think an oil-based shampoo would be crazy heavy and leave your hair perhaps hydrated but super limp and greasy-looking? Not this product! It comes in an extremely light liquid and is free of parabens and silicones. Not only will the neroli oil pump up your moisture, but the ingredient also works to calm your scalp and balance between the state of dry, dull locks and greasy tresses. With citrus notes—like orange, yuzu, and mandarin—and clean scents like musc blanc and cedre—washing your hair is a smell-good process you’ll no longer dread. We’ve all used shampoos that scream that they’re beneficial in the moisture department but just make your hair feel gross and heavy. This keeps your hair feeling light while repairing it and restoring it with essential hydration. Because it works to clarify and moisturize, that drying effect of washing your hair is pretty much reversed. All of us who have suffered through dry hair spells know that shampooing was essential to clean, but unless you followed it up with a deep conditioner, you were essentially just removing impurities while drying it out even more. Because it infuses the neroli oil in your strands, that is no longer a concern. It comes to a lather, but not one that’s out of control and washes out in seconds. You can use whatever conditioner you want afterwards, but you’ll find that you don’t have to dump it on like you used to.